and contemporary fashion. Right from casual wear to office formal wear and party wear. 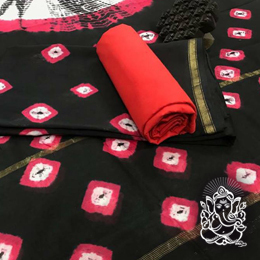 Aarav Collection is a recognized Chanderi Unstitched Suit Set Manufacturer in India that offers its products across the globe. 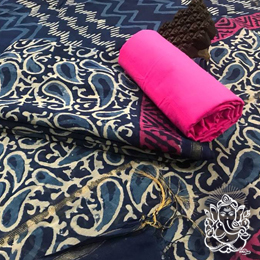 We offer you a wide range of Chanderi unstitched ladies suits and Bagru Hand Block Print Chanderi Silk Suit that are intricately designed by expert designers and is printed with vibrant colors. 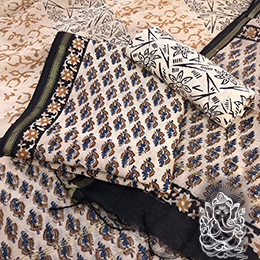 Hand Block Printed Chanderi Salwar Suits keep their beauty and demand intact in changing vogue, because these Salwar Suits bear an elegance that makes them suitable for every occasion. 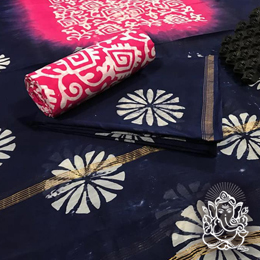 At Aarav Collection, you will find a manufacturer wide range of hand block printed Salwar Suits available in a variety of colors, patterns and designs. 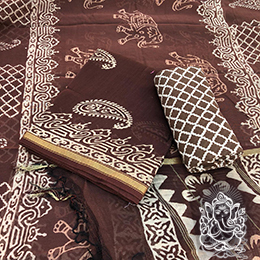 Our hand block printed Salwar Suits are known for being long lasting and vibrant for a long time. 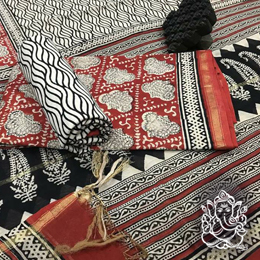 Chanderi has become a brand name in fashion world, because this style comes with an elegance that remains intact for many years. 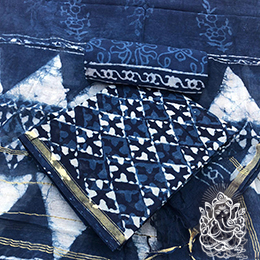 Aarav Collection is a reputed manufacturer of Chanderi hand block printed Salwar Suits. 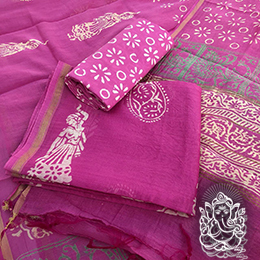 Our sarees are known for their beautiful texture, glossy transparency and light weight. Wear the in any event, and you will be all set to set apart.